I am off to Palawan with 9 other bloggers for 6 days to join the festivity in Puerto Princesa this May 27 - Jun 1! I just can't wait to be back to one of my favorite destinations in the country. Speaking of, the reason why I dropped by to the R.O.X. 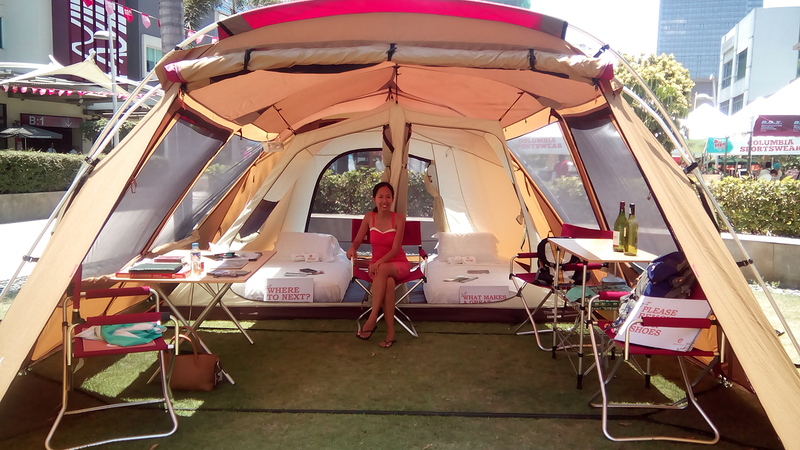 Outdoor Festival last weekend is that to get to know more travel brands that can inspire me to explore more places. There's a lot there that I discovered, from the least - heard to the most famous. Among them, the one that stood out to me is the island pandan getaway by Great Escapes Ph in Palawan. If you're looking for a 3d2n tour package to Puerto Princesa, then definite you should check this out. This trip is not the usual itinerary you can find in any Puerto Princesa island hopping adventures that feature Honda Bay. Your one night is spent glamping in Island Pandan. To those who aren't aware yet, glamping is a coined word for glamorous camping. 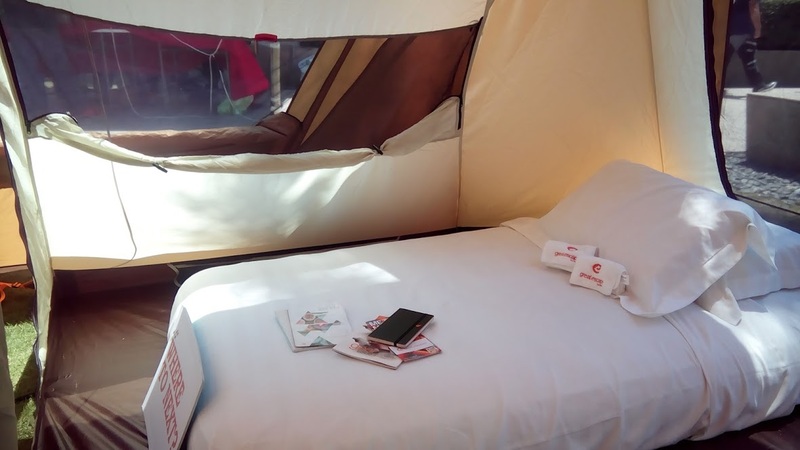 It means you will sleep in a more luxurious tent in terms of space and convenience. The other night I believe is in a classy hotel. Isla Pandan is a slice of beach paradise in Puerto Princesa known for snorkeling, seafood and beach bumming! In just a few feet deep in the waters you will have the closest encounter with hundreds of colorful fishes and coral reefs. If you want to have these fishes come near to you without any efforts, just bring a slice of bread and put it inside a container or plastic bag. I have been seeing lots of pictures snorkeling in shallow water flocked by Nemo - looking fishes in Thai islands actually. I dont need to go to Thailand just to experience this. In Island Pandan, I can have this dream come true. "Your bedroom carpet? Cool, fine sand. Your air-conditioning? Sweet, salty air. Your alarm? The waves rolling just outside your tent. " 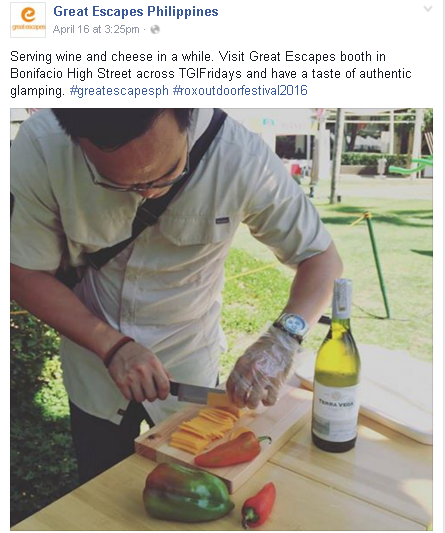 I was able to chat with Ms Sherry Lou Castaneda who works for Great Escapes during the R.O.X Festival. She said this tour package is good up to 6 pax. 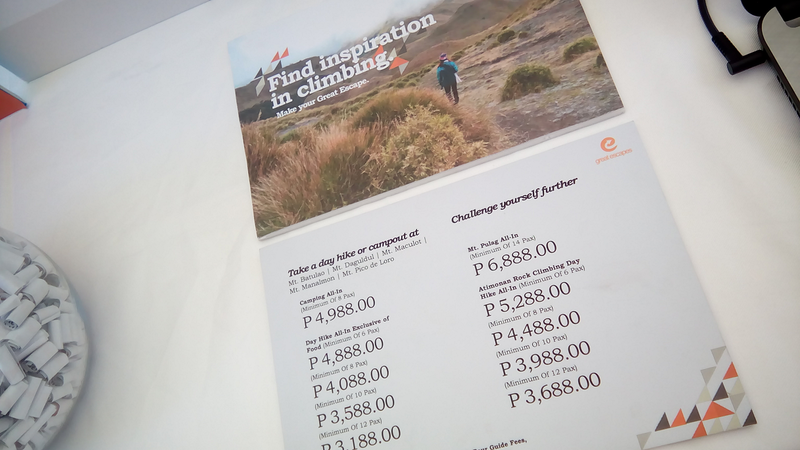 The introductory price is Php 24k but that time it was only Php19k! They really know how to pamper guests even that day. 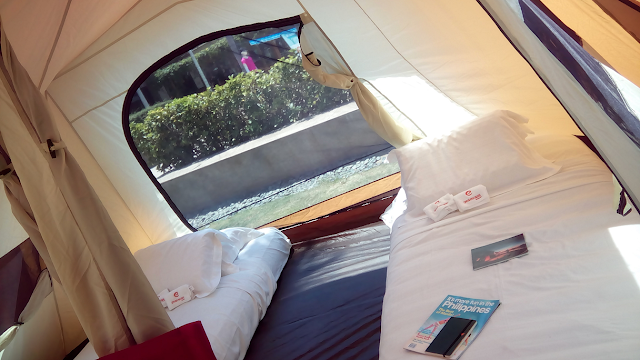 The visitors of their booth had a choice between a 15 - minute massage or a slice of cheese and a small shot of wine which is included when you get this tour package from them. That's it! To those who are planning to go to Puerto Princesa and looking for more comfort and luxury, I am definitely recommending the Isla Pandan glamping getaway for a twist. If you want to know the current rate or any promo on going, the complete itinerary and inclusion of this package please check Great Escapes Ph's Facebook Fan Page here.